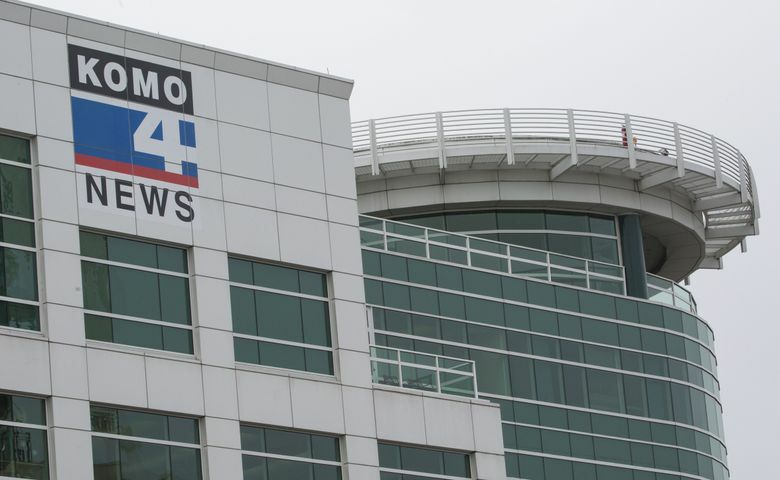 Experts say FCC regulations currently would prevent Sinclair Broadcast Group from owning KOMO 4 and KCPQ 13, two of the top four local stations, following its acquisition of Tribune Media. The TV-station chain seems to be counting on a further loosening of FCC rules. 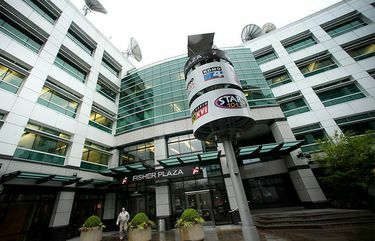 If TV-station powerhouse Sinclair Broadcast Group completes its acquisition of Tribune Media, current federal regulations would require it to sell either KOMO 4 or KCPQ 13, two of the top four TV stations in Seattle. Yet Sinclair seems to think it won’t have to do so. CEO Chris Ripley has hinted he expects the new leadership of the Federal Communications Commission (FCC) appointed by President Donald Trump to loosen the rules limiting ownership of multiple stations in a single market. Sinclair already is the country’s largest owner of TV stations. Adding Tribune’s 42 stations, if no divestments are required, would expand it to a total of 233 stations reaching 72 percent of U.S. households. The discrepancy between the existing rules and Sinclair’s plans in Seattle has left people in the local TV industry wondering how this will play out. “Under current law, they would not be able to own both those stations,” said David Domke, chair of the Communications Department at the University of Washington. According to Nielsen, the top four TV stations in Seattle ranked in order of market share are KOMO, KING, KIRO and KCPQ. Sinclair owns KOMO, the local ABC affiliate, and Tribune owns Fox affiliate KCPQ. The wording of the FCC rule adds a further regulatory twist to Sinclair’s plan to acquire Tribune’s Seattle assets: The regulation allows a company to own “up to two” stations, but not three. Tribune also owns the smaller station KZJO — also known as JoeTV on Channel 22, and ranked No. 9 in the Nielsen ratings for the Seattle market — which airs law and justice shows plus some local sports, including some Seattle Sounders soccer and Seattle Storm basketball games. Yet on a conference call Monday announcing the blockbuster deal to buy Tribune — for $3.9 billion, plus the assumption of $2.7 billion in debt — Sinclair boss Ripley left Seattle out of a short list of cities where the FCC might potentially require him to sell a station to maintain competition. The markets “most likely to have a divestiture, if we have any, they would be Wilkes-Barre, St. Louis and Salt Lake,” Ripley said. Given the clear wording in the regulation, why did he not include Seattle in that list? A manager at another local TV station, who asked not to be named because his station is not connected with the transaction, agreed. Sinclair was able to bid for Tribune only because of an FCC rule change last month that effectively relaxed the cap on TV-station ownership. Under the new rule, a large portion of Sinclair’s audience is not counted, so that its reach into U.S. households is deemed to still be under the supposed limit of 39 percent. With the new administration in Washington, D.C., said Domke, Sinclair can hope for some kind of additional waiver or regulatory change that would allow for expanded ownership stakes, especially in larger markets. Trump’s appointee as FCC chair, Ajit Pai, has made reduction of regulations a priority and has already pushed through important policy shifts. In addition to the change in the TV ownership cap, last month he announced a sweeping proposal to ditch the policy of “net neutrality” by loosening government oversight of high-speed internet providers. Domke said that while many of Trump’s executive orders — such as his proposed travel ban on citizens of certain countries — have been blocked by the courts, his policy direction has had much greater reach through appointing people who share his goals to run government agencies like the FCC. “Under Trump, I would expect further deregulating around TV and media ownership,” Domke said.